Huskies. Never. Quit. You just have to unleash them. For 1,895 minutes on Tuesday, May 7- Wednesday, May 8, NIU will host its first-ever Day of Giving. Day of Giving events have grown in popularity over the past several years, and among colleges and universities in particular. Driven primarily through online channels, these events serve as “digital pep rallies” where everyone who cares about a cause can come together and show their pride by being an ambassador, inspiring others and giving. 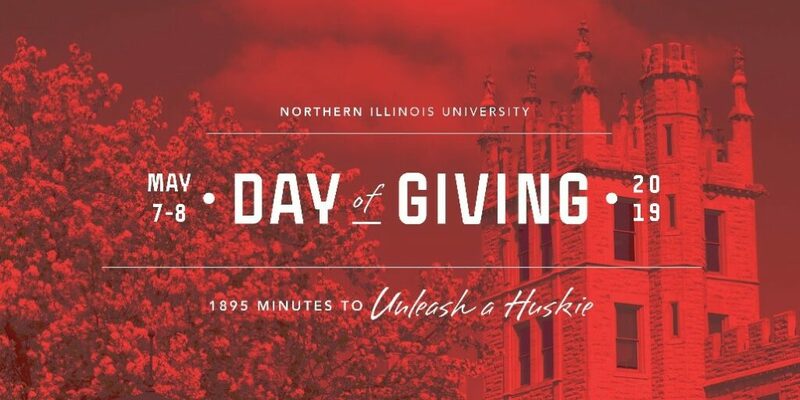 The theme of NIU’s inaugural day of giving event is “Unleash a Huskie,” which plays off of the NIU Foundation’s larger “Unleash” initiative aimed at creating awareness and support for student scholarships. While most day of giving events last 24 hours, NIU’s event will last 1,895 minutes, or 31.5 hours, to commemorate NIU’s founding year, 1895. In terms of causes that can be supported, participants are encouraged to donate to the areas they are most passionate about at NIU. To encourage participation, several giving challenges will be in play to match contributions and add to the overall Day of Giving totals. Sign up to be a social media ambassador. Create a challenge match to inspire others. Make a donation on either Tuesday, May 7 or Wednesday, May 8. For more information, visit the Day of Giving website or contact Natalie Troiani at ntroiani@niu.edu or 815-753-8198.